Understanding urban risks is extremely vital in paving the path towards building resilience in cities, especially in the Asia-Pacific region where urbanisation is accelerating and intensifying at a commendable pace. 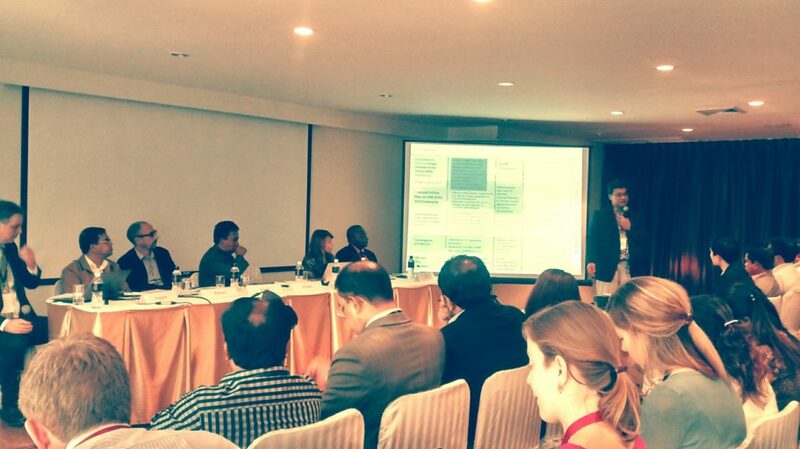 Session A1 on Day 2 at Resilient Cities Asia-Pacific 2015 Congress sheds light on all aspects of understanding the linkages between urbanisation, vulnerability and risks. Why do people choose to live in cities? Are they aware of the risks that they are vulnerable to? Sharing the results of the assessment with the communities. Basic understanding of risk is crucial for all the sectors of the society – for the government so they can brief the citizens, the other stakeholders so they can help take necessary precautions and safety measures and finally, the people, so they are aware and can take self-help measures for themselves and those around them. An important step in understanding urban risks and increasing awareness towards the same would be the integration of risk management and risk assessment into the city planning process. While it is important to take individual risk prevention measures, it is also crucial to keep in mind that we do not displace the risk somewhere else and put our neighbors in danger instead. Thus it is the need of the hour to take collective measures. City officials, very especially, need to be in constant touch with each other and city officials from surrounding areas so as to take collective measures for the betterment of the entire region. “It is significant to use our collective rights to build a universal resilient future“, said Richard Friend, Director, ISET International. There are many scientific methods at our disposal to understand better the vital statistics of the various risks, thus helping the cities and their people to prepare themselves and be ready with the necessary measures that could be taken to overcome the effects of the urban risks. Though changing the course of natural calamities is a slow process, it is important to keep in mind that if the people of the cities act together and take collective measure, cities can be better prepared of whatever comes their way. Stay tuned for more information throughout the rest of the day!